If there’s one outfit I wear more so than anything this time of year, it’s sweaters and leggings. Big shocker, I know! But when it works why change it? 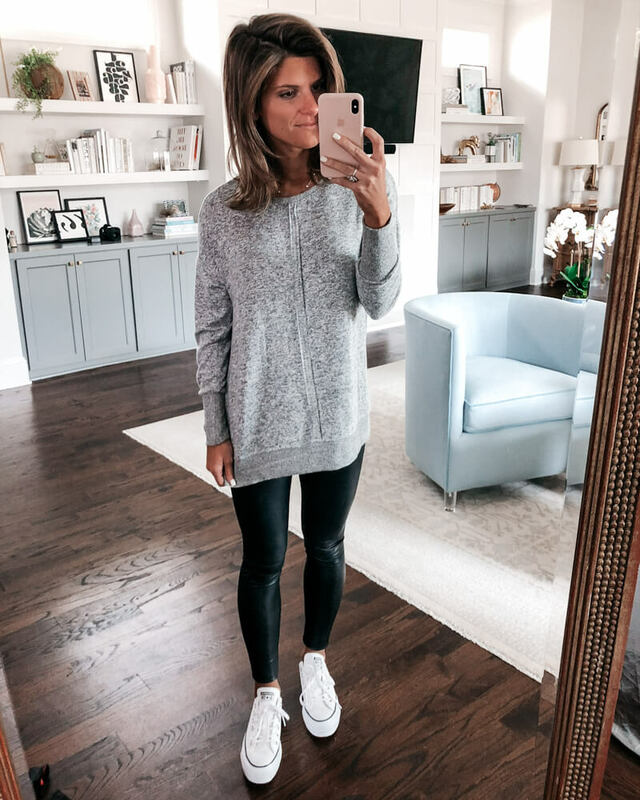 Since I know a lot of y’all like to wear the same type of style, I wanted to round up some of my favorite sweaters/tops to wear with leggings. Because there’s an art to it! You obviously want something to cover the backside, something that’s a bit loose since the leggings are tight, and so on. And even though that sounds easy enough, sometimes it’s hard to find sweaters that actually work, so lemme help you out! Plus, I know a lot of y’all are probably starting your holiday shopping. A comfy sweater or tunic is something I always get for my mama and sisters (hope they aren’t reading this, but it’s literally on their list every year so whatevs). If you’re having a hard time knowing what to get your mom, a sister, a mother in law, or girlfriend, these might be good options for that too! Sorry for the blurry photo. Yikes. But it’s all I had! Obsessed with this waffle sweater because it’s not too thick or thin, and the Olive is SO good this time of year. It’d be really pretty on someone with green eyes and it’s under $50! I always appreciate a sweater in Petite sizing since I’m short and Nordies has a decent amount of selections here. I’m getting this for my mom and my youngest sister since they’re tiny. Cute right?? I got it for myself during the #Nsale and it’s the BEST! Also this chunky olive green turtleneck ($49, wearing size XS) is super cute! I love it paired with black leggings and riding boots. Olive is just such an easy color to wear in my opinion! A cashmere tunic for under $100 (yes!) that is soooo soft y’all. One of my faves! I actually bought this chunky turtleneck tunic 3 years ago, but I’m so excited to see they’ve brought it back! 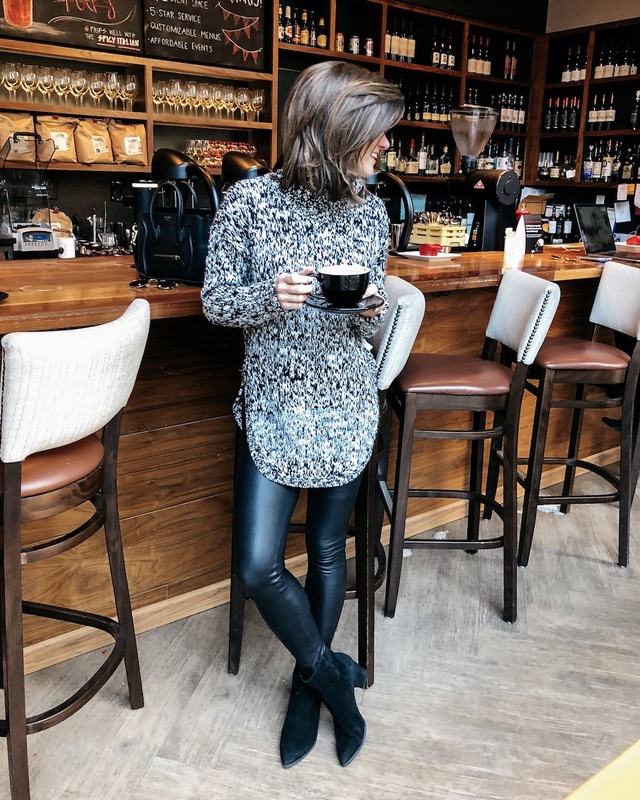 This is one of my favorite go-to looks to wear with leather leggings. I LOVE LOVE the fit of it! Y’all know how I feel about a classic tan turtleneck and really like the cowlneck version here. And one last tip! If y’all have a sweater you love that isn’t quite long enough for leggings, wear this V neck tunic underneath since it’ll cover. It’s really thin and easy to layer and it’s a staple for me. Especially love mixing the striped in with a solid sweater or vice versa! 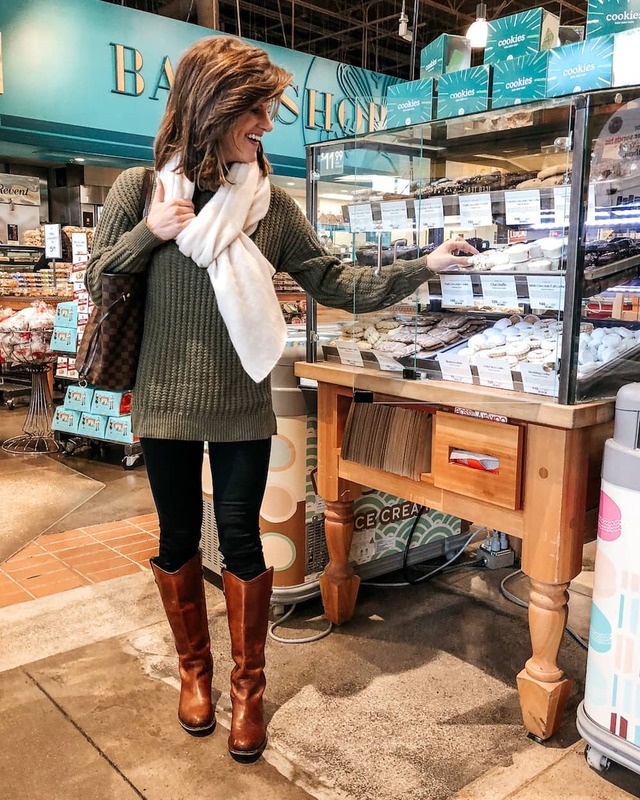 Thanks so much to Nordstrom for sponsoring this blog post! As always, everything was picked by me and all opinions are mine!